I baked a few of my Christmas gifts this year, to save on the pennies a little and also to make sure everyone got something thoughtful and which they'd know I'd put a lot of effort into. This resulted in me spending a whole day in the kitchen making mince pies along with all my presents. I made caramel shortbread for my dad, which I've blogged about before, and truffles for my mum and boyfriend. My brother is an athlete, though, and watches what he eats quite carefully, so I tried to make something that was a treat whilst still being healthy-ish. 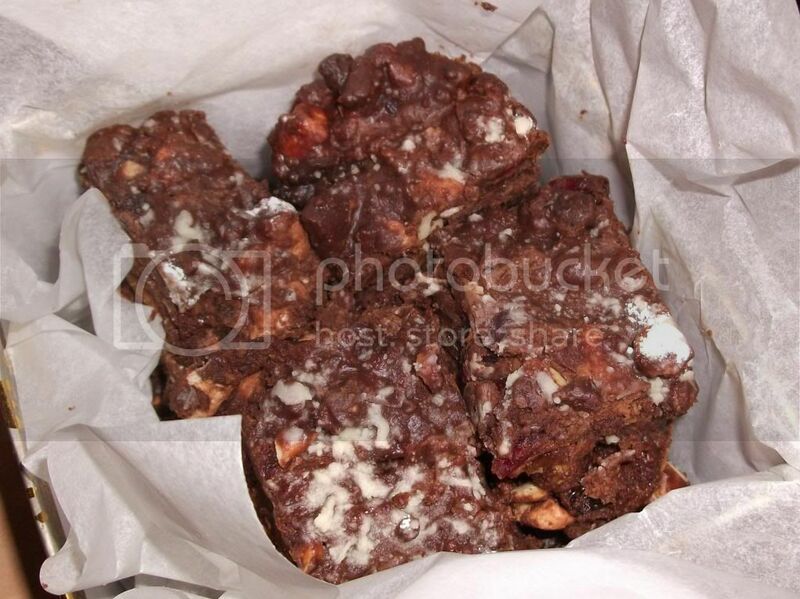 I ended up with Rocky Road, and although it contains butter and chocolate, it's also got some good bits. You can obviously replace the extras with whatever you fancy! I know this is too late for you to use for Christmas presents this year, but it's great just as a treat any time, to be honest. Another bonus is it doesn't require baking, which is great when your oven is already full of mince pies and shortbread! Start by melting the chocolate and butter in a heatproof bowl over a pan of boiling water (or in the microwave) and stir until smooth. I always do it over water after a bad experience with a friend's dodgy microwave which set our chocolate on fire! 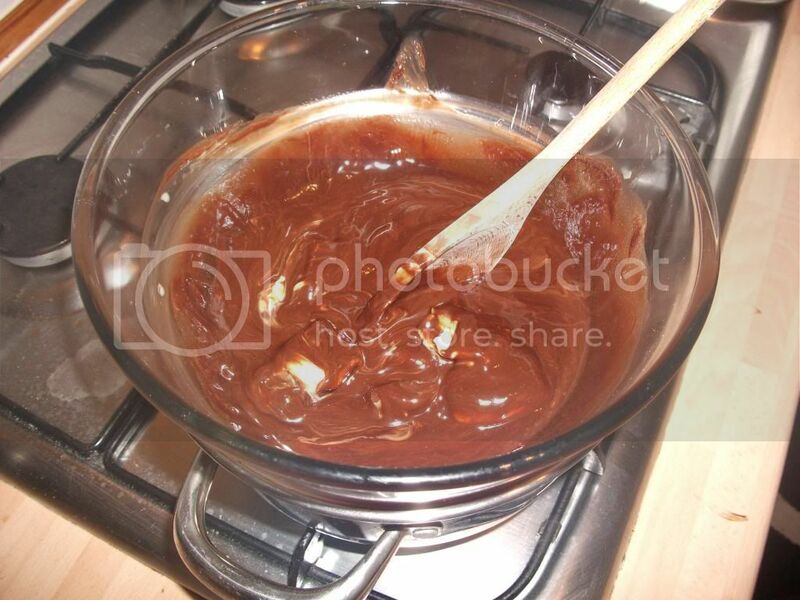 Mix all your dry ingredients into the melted chocolate and butter, and stir until everything is evenly coated. Press into a tin or tray lined with greaseproof paper, and shove it in the fridge for a couple of hours to set. 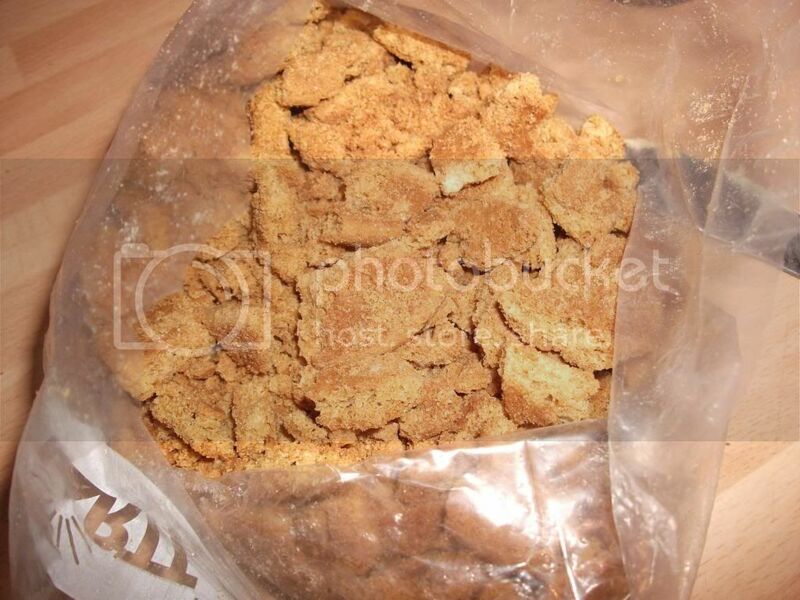 Remove from the fridge, sprinkle with icing sugar, and slice into squares with a sharp knife. Voila! It has to be said, this went down very well, and I had a couple of pieces left over that wouldn't fit into the gift box I used - I wished I hadn't given it to him when I got home and ate those, they were really good haha! Did you make any of your Christmas presents yourself? 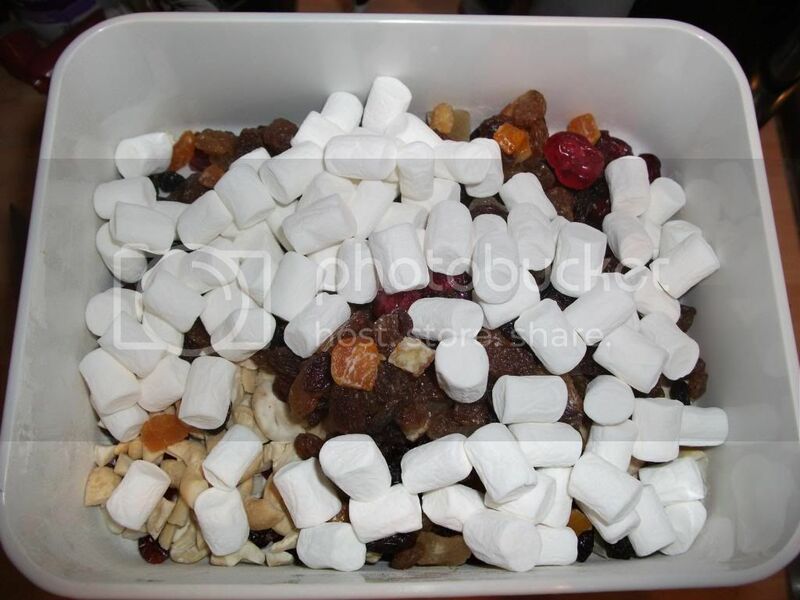 What do you like to put in your Rocky Road? that is all I can think to say right now. Oh wow, this looks amazing, here I am eating an apple!